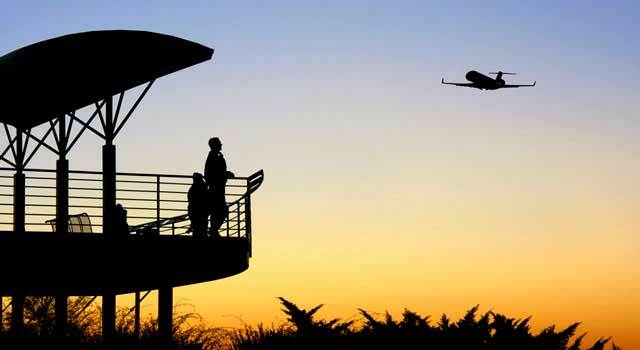 Use this website to quickly find the most important information about the main airport in the cities and surroundings of Raleigh, Durham and The Triangle, called Raleigh–Durham International Airport: Departures, Arrivals, Parking, Car Rentals, Hotels near the airport and other information about Raleigh Durham Airport. Plan your travel to RDU Airport with the information provided in this site. Raleigh Durham Airport, known officially as Raleigh–Durham International Airport (IATA: RDU, ICAO: KRDU, FAA LID: RDU) is located 4.5 miles (7 km) northeast of Morrisville town, in Wake County, North Carolina. Raleigh Durham airport is located 4.5 miles northeast of Morrisville town, in North Carolina. The airport connect the cities of Raleigh, Durham and the Surrounding Research Triangle, a region in the Piedmont. In 2017 RDU Airport handled over 11 million passengers. The airport connects with the international cities of: Paris, London, Toronto and Cancun. Raleigh Durham airport has two terminals, 1 and 2, and three concourses: A, C and D.
The airport serves the cities of Raleigh, Durham and the Surrounding Research Triangle, a region in the Piedmont of North Carolina. RDU Airport is a focus city for Delta and Frontier. The airport counts with tras-atlantic nonstop flights to London and Paris. 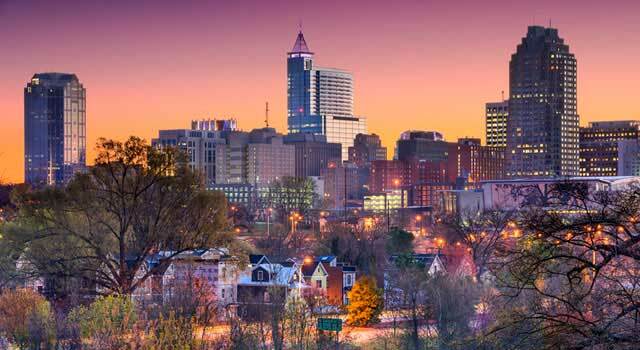 The top 5 destinations from Raleigh Durham Airport are US cities/airports, being Atlanta, Charlotte, Newark, Boston and Chicago. In 2017 the RDU Airport handled 11,653,086 passengers, a figure that has remained fairly stable over the last 5 years. The airport connects with the international cities of: Toronto, Cancun, Paris and London. It’s been renovated and it has 9 gates. It is only served by Southwest Airlines and is just a domestic terminal. - Concourse A: Gates A1-A9. It’s been optimized for the exchange of passengers between connecting flights. - Concourse C: Gates C1-C25. The international gates are C23-C25. - Concourse D: Gates D1-D20. Raleigh Durham Airport provides shops, restaurants and with known brands to take a bite to eat or to buy a last minute gift. RDU airport also provides services and amenities for all passengers. In Terminal 1 there’s 24-Hour Flower and Superior Shine of shining shoes, bags and more. The Terminal 2 provides to all passengers 24-Hour Flower, Airline Clubs, Superior Shine and XpresSpa. The terminals are not connected. Passengers moving between the terminals may ride a shuttle bus or take the moving walkway through the covered parking decks between the terminals. - The Orange Bus: From Terminal 2 to Terminal 1. - The Purple Bus: From Terminal 1 to Terminal 2. The ground transportation from RDU Airport is provided outside baggage claim at Terminal 1 and on the lower level at Terminal 2. - Public transit: Bus Route 100. Operated by Go Triangle, connects Raleigh-Durham Airport with some bus routes that runs through the region and beyond. 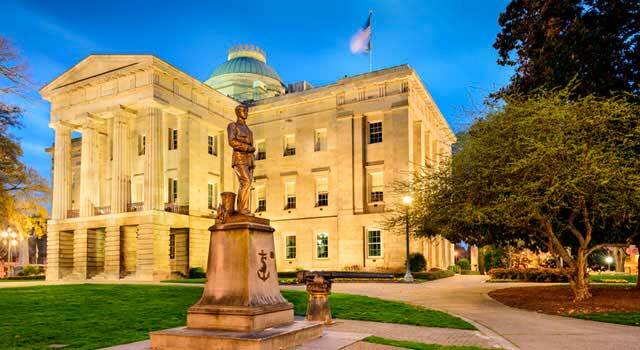 - Rail: Amtrak provides service to Raleigh; GoTriangle offers service to Durham, Raleigh, Chapel Hill, RTP; and Greyhound goes to Durham and Raleigh. 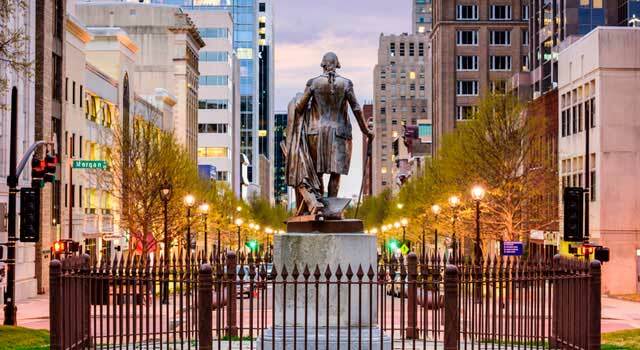 - Taxicab: Get within 25 minutes to downtown Raleigh. Taxi service is provided by RDU Taxi Inc. To do a reservation: +1 (919) 840-7277. Check more detail on transportation page. 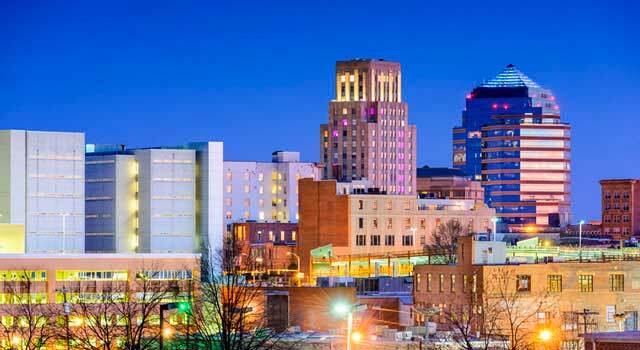 Many companies operate in Raleigh Durham Airport, check here for online booking. They offer courtesy shuttles to their offices. For a car service for people with special needs, please, make a request.